Islam is one of the greatest proponents of education in general and Islamic education in particular. The proof of this ardent support of Islam is evident from the first revelation where Prophet Muhammad (PBUH) was commended with “IQRA” which means reading. Thus from its very beginning Islam has been in support of education and learning, and what better book can there be to learn than the Holy Quran-The word of Allah Almighty. Therefore, a Muslim more than anything else needs to educate himself about Quran. The reason why a Muslim needs to focus on educating himself about Quran compared to all other books of knowledge is because Quran is the divine source of knowledge, it is a book that directly comes from Allah Almighty the intellect and knowledge of Whom is unmatchable. Moreover, besides giving the knowledge about things and their realities, Quran also presents the right path by following which a Muslim can rise and be a recipient of blessings of Allah Almighty. As Quran contains the instructions from Allah Almighty, therefore, educating one’s self about Quran is one of the primary obligations a Muslim has to fulfill. It is the duty of parents to help their children learn Quran, so that their foundation becomes strong upon which they grow to become better Muslims. Therefore, for better lives of your children, here and hereafter, you need to keep Quran education for them on the top of the priorities list. We live in an era of technology where all our chores and the works we used to perform have digitalized and cannot be performed without technology anymore. Therefore, you can easily avoid the hassle of finding a good Quran Academy, taking out time to drop the children at a Quran Academy and then pick them up, instead, what you can do is simple make use of technology and go for our Quran online learning program. QuranReading.com- The Best You Can Get! What else can the Muslims of the west want better than QuranReading.com pertaining to Quran education. 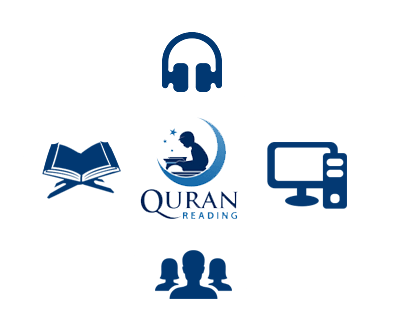 With our best technology infrastructure, experienced Quran tutors, an extremely affordable fee, and a trial period offer, the convenience of setting the class time of your desire, Quran education has become as easy as it could be. Quran Education is imperative for all those children who are born and are growing up in western countries like USA, UK, Australia and Canada. Our comprehensive online Quran tutoring service covers all these countries and helps the young Muslims know and understand the message of Quran and Islam.